The treatments for depression can be divided into two general categories, biological treatments and psychotherapy. Biological treatments include drugs, light therapy, transcranial magnetic stimulation and electroconvulsive therapy (ECT). Psychotherapies include a variety of treatments, such as counseling or talk therapy, based upon changing thoughts and behaviors associated with depression. For severe depression, it is recommended to have a biological treatment (i.e. an antidepressant) as well as a psychotherapy treatment (talk therapy or counseling). For mild or moderate symptoms, talk therapy and perhaps a natural supplement (such as 5-HTP, St. John’s Wort or SAMe) is a reasonable starting point. Antidepressants are the main medications used to treat depression. These medications are categorized based upon either their mechanism of action or chemical structure. One the most commonly used categories of antidepressants is the selective serotonin reuptake inhibitors (SSRIs). These medications have been extensively used because of their effectiveness and relatively benign side effect profile. Examples of currently available SSRIs include fluoxetine, sertraline, paroxetine, citalopram and escitalopram. SSRIs, as the name suggests, inhibit the reuptake of the neurotransmitter serotonin as their primary mechanism of action. Serotonin is a brain chemical (neurotransmitter) thought to play a role in the cause of depression. By inhibiting the reuptake of serotonin, these agents cause more of this neurotransmitter to be available in the brain. These medications are called “selective” because, relative to other antidepressants, they primarily inhibit the uptake of only one neurotransmitter rather than several. Serotonin-norepinephrine reuptake inhibitors (SNRIs) are also commonly used to treat depression. These drugs inhibit the reuptake of two neurotransmitters, serotonin and norepinephrine in the brain. Examples of SNRIs are the drugs venlafaxine, desvenlafaxine and duloxetine. Other categories of antidepressants include the dopamine-norepinephrine reuptake inhibitor (DNRI) bupropion, the norepinephrine-serotonin modulator mirtazapine and older tricyclic and tetracyclic antidepressants that are named based upon their chemical structure. All of the antidepressants are thought to be equally effective overall, though a few studies have suggested slight benefits for some agents over others. 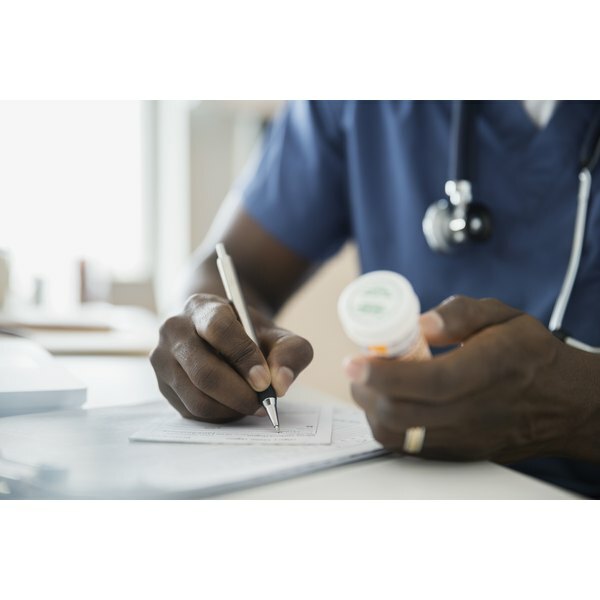 Thus, decisions about which medication to choose are typically made based upon previous response to antidepressant treatment, side effects or other factors like cost. Even though the different antidepressants are equally effective overall, for reasons we do not understand, some will work better than others for a given person. Currently, there isn’t a way to predict which one will work the best for a given person (other than prior response to the same medication) so there is always the possibility that the first medication tried will not be effective and that another will need to be used. Studies suggest the response rate to any medication tried is in the 50 to 75 percent range. Unfortunately some people will have to try more than one medication to find one that works well. In order to be effective, antidepressants must be taken consistently, and regular follow-ups with a prescriber are required to assess progress. Psychotherapy is a psychological treatment conducted by a psychotherapist. It can occur in either an individual or group format. Several types of psychotherapy have been shown to be very effective for depression. Psychotherapy may have several advantages over drug treatment for depression, such as helping individuals develop an understanding of sources of depression and enhancing interpersonal relationships. Psychotherapies also frequently address the complicated relationships between the sense of self and depression. For these reasons, psychotherapy is strongly recommended as either the only treatment for mild or moderate depression or in combination with biological treatments for more severe illness. Cognitive therapy (CT) is one the most common psychotherapies used for depression. It is sometimes known as cognitive behavioral therapy (CBT). CT is a generally short-term “here and now” therapy. A number of techniques are employed in CT to help individuals change thinking patterns and behaviors that may be related to the experience of depression. Perhaps the most important is the questioning and testing of thoughts, assumptions and beliefs to determine whether they are realistic. The aim is to identify inaccurate thoughts that may result in depression and subsequently counter these thinking patterns with objective evidence. There is considerable evidence for the effectiveness of CT for major depression, and it is a strongly recommended treatment option. Another effective psychotherapy for depression is interpersonal therapy (IPT), which is a time-limited “here and now” therapy that focuses on developing an understanding of the interpersonal problems in one’s life and then developing concrete solutions. American Psychiatric Association Practice Guideline For The Treatment of Patients With Major Depressive Disorder.